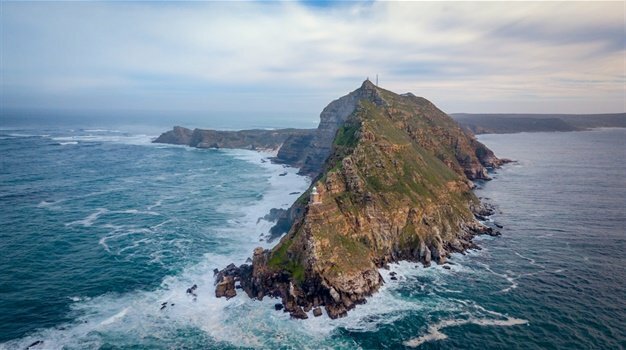 Cape Town - If you thought walking down the aisle takes months of preparation, try organising a honeymoon with memories that are expected to last a lifetime. The responsibility of kicking off this newlywed bliss often falls in the (in)capable hands of the groom, who’s fully aware that a happy wife is a happy life and that it’s important to start as one means to go on. Get the honeymoon right and the rest will follow. If anybody knows this, it is the travel agent who has been through the planning process a few times. Thompsons Holidays and iGo Travel have both seen a steady increase in demand for honeymoon packages in Bali. “Bali is definitely on the rise as a top honeymoon destination because it is affordable and romantic, combining beautiful scenery with hills and beaches as well as shopping,” says iGo Marketing and Brand Manager Karen Donkin. If you want to go all out, iGo offers a seven-night five-star all-inclusive Bali package at Grand Mirage Resort & Thalasso Bali from only R22 995 including taxes. The upcoming direct flights between South Africa and Male makes The Maldives an increasingly attractive honeymoon destination, says Chantelle Browne, Senior Product Manager kulula holidays. Club Travel has a seven-night package to Maldives at the four-star Malahini Kuda Bandos with a free upgrade to full board available from only R18,890 per person including return flights, while kulula holidays has several Maldives packages available from R22 187 per person. Always a favourite among honeymooners, Mauritius offers superb value, an extensive selection of resorts, and inclusions like land and water sports and daily entertainment, says Joanne Visagie, Beachcomber Tours Marketing Manager. Linda Koekemoer, owner of Travel Break in association with eTravel believes that Mauritius will always be the number one honeymoon destination for South Africans. “It offers great discounts and inclusions that attracts honeymooners, as well as excellent value for money. Thailand offers affordability as well as a cultural experience, from shopping in Bangkok and seeing the temples in Chiang Mai to lazing on one of the beaches in the south, says Giles Clinton, Director Checkout Tours. For honeymooners seeking an exotic honeymoon of a lifetime, Checkout Tours has affordable packages to key Thai destinations such as Koh Samui, Khao Lak, Phuket, Chiang Mai and Bangkok available. Clinton says Zanzibar has also become the next big thing for South African honeymooners. “A quick three-hour flight from Johannesburg, Zanzibar offers a plethora of honeymoon beach resorts to suit all budgets. Honeymooners can expect soft powdery white beaches and swaying palm trees, and visit an island with a history of spices, slavery and the birthplace of Freddy Mercury from Queen,” says Clinton. With the experts’ advice on where you should hang your honeymoon hat in the near future, all that’s left for you to do is chat to your ASATA-accredited travel agency or tour operator so that you can travel with peace of mind, and most importantly, keep your future wife happy. NOTE: All packages and prices mentioned in this article are subject to the individual T's and C's of the tour operator and travel agency.